How Long Does It Take before I Become Licensed to Adopt? So you’ve decided to adopt. Congratulations! Now the hard work begins. 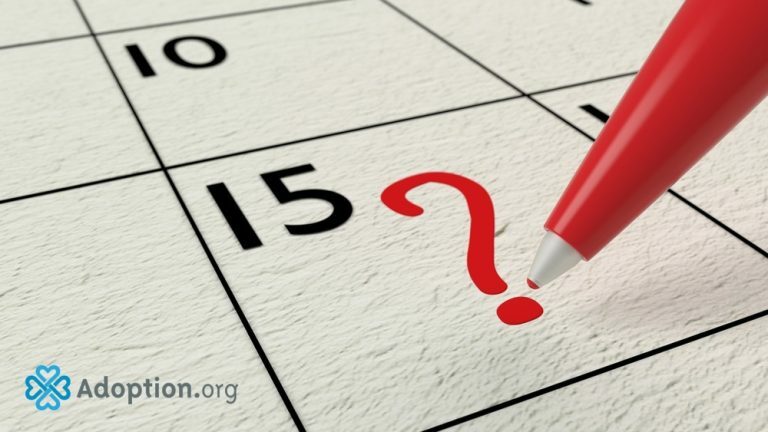 A frequently asked question when beginning the process is “How long does it take before I become licensed to adopt?” I wish that there were a simple answer. And trust me, I’m with you. Once we decided to adopt, I wanted to be licensed yesterday. Use that excitement, adrenaline, and exhilaration to get you through the mountains of paperwork and research that you’ll need to do. You’ll need momentum and a lot of coffee to get you through some of those trainings. And faith. You’ll need a lot of faith and perspective to not completely lose your mind when you read the plethora of “could be’s” that will be presented to you. The piece of the process that often takes the longest is the fingerprinting and background checks. If you’ve lived in the same house your whole life, you have nothing to worry about. If you’ve lived in multiple states, that will likely take more time, and you will need to be patient. Also, it can be overwhelming to look at all that paperwork. We tried to work through it methodically: filling out the definite answers, the easy forms, and the ones we knew all the answers to right away, then the more difficult ones. Signed, dated, set aside. Next, you’ll need to do trainings and classes. Don’t wait. Sign up and get those classes underway. Some classes are only offered on a rotating schedule, so taking them when offered is a necessity and will expedite your licensing process. Some classes will be easier to find, and some you may have to wait for. Utilize local community ed classes and online options if you have them. Each agency/county is different, so just ask your licensor. Check with your licensor to see if a fire marshal inspection and/or a well test is necessary in your area. These tests and visits can often take time to get set up. The more information you have, the more quickly the process can and will go. Our fire marshal was swamped, so it did take a few weeks to get them out here. Choose your references carefully. Make sure you choose friends and family that are as excited about your journey as you are. These family and friends are more likely to return their references in a timely manner and not leave you sending gentle reminders that the agency has yet to receive your references. That can get a little awkward. Be thorough. The most important thing is to make sure that you fill everything out honestly and concisely. It can be tough to remember addresses for seven years, especially if you’ve moved as much as we have, but getting every number correct, every t crossed and i dotted, is crucial to expediting your licensing process. Try to relax and enjoy the ride. Welcome to the roller coaster.